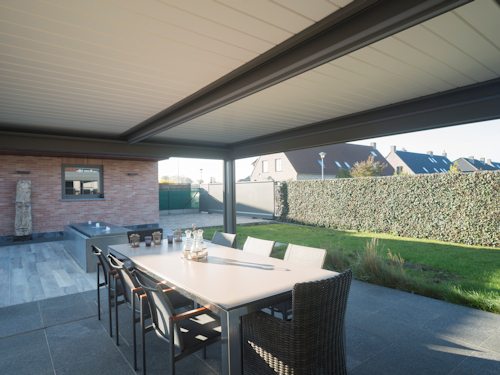 With our Bioclimatic Pergolas, your customers can offer a full weather protection system as they feature adjustable roof slats that provide full shade, partial shade or open sky views under one structure. 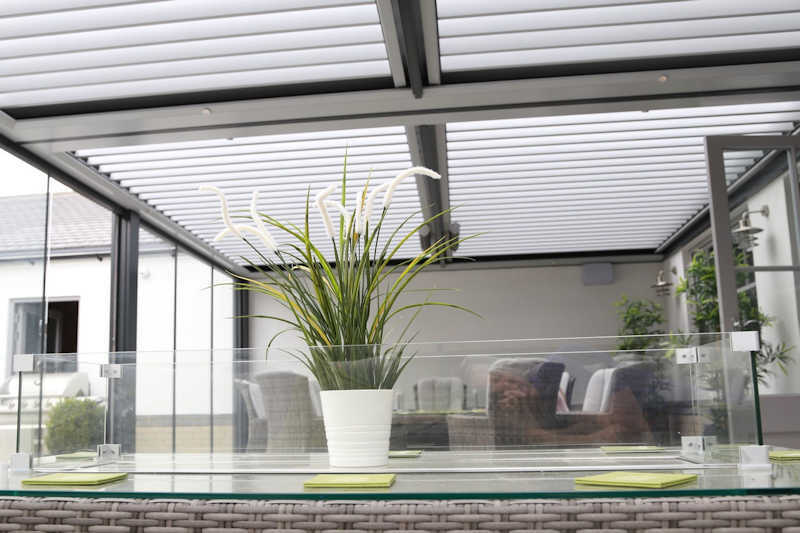 Our Bioclimatic Pergolas Offer 100% UV protection from the sun when they are closed as well as a watertight seal, sheltering from the rain. 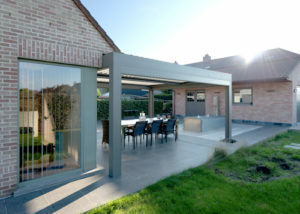 When they are partially open they offer part shade and a cooling breeze that flows through. 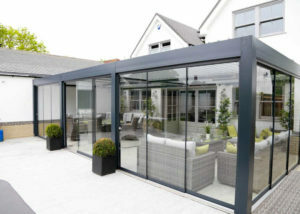 The stunning designs are contemporary, striking and extremely aesthetically pleasing and when paired with our upgrades, they can create complete focal points within your customers’ outdoor area. 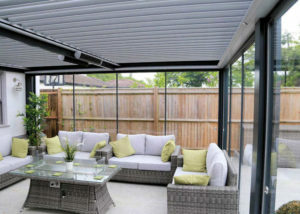 These stunning structures are controlled with the highest quality Somfy motors and remote controls resulting in a reliable, long lasting structure. 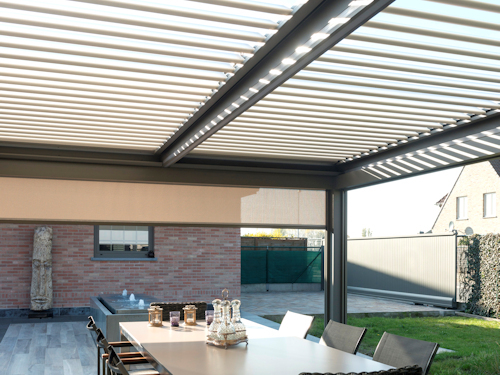 Our Bioclimatic Pergolas are made completely from strong aluminium with aluminium roof slats for strength, durability and weather resistance. 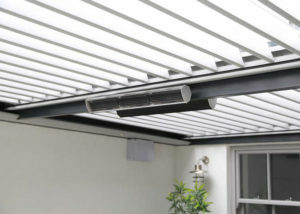 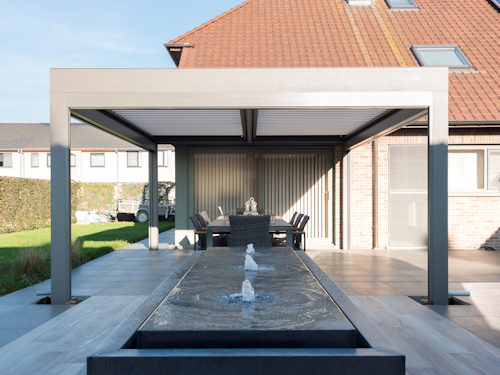 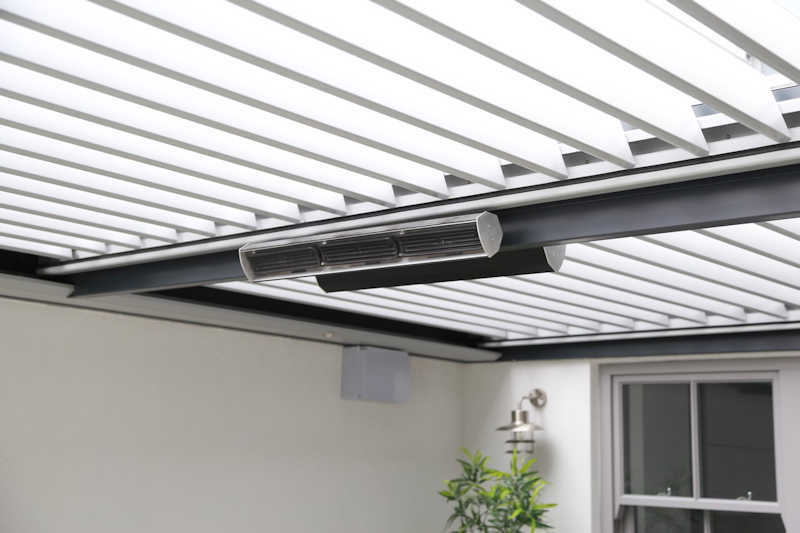 The adjustable roof slats make these pergolas the most innovative canopies on the market and feature Somfy motors along with integrated guttering systems, your customers really can’t go wrong. 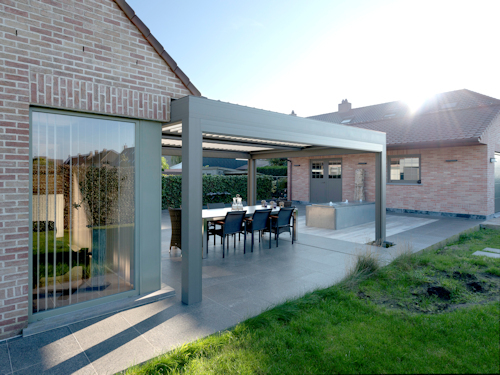 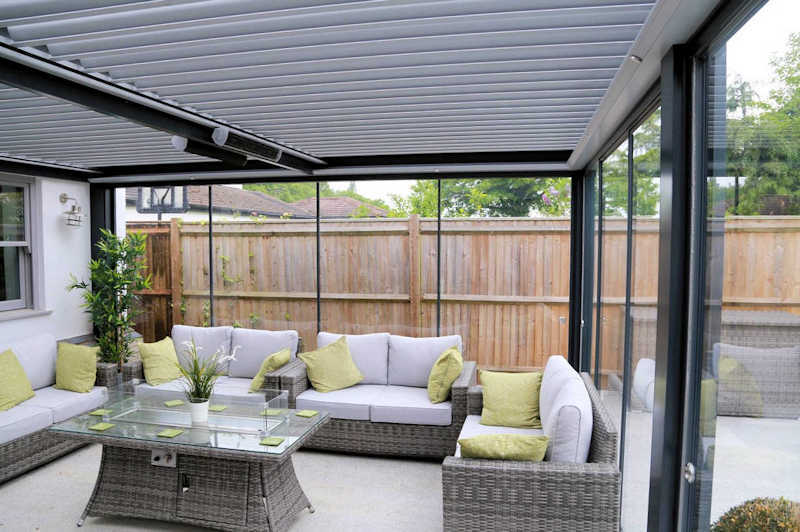 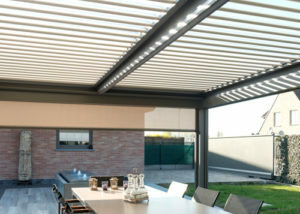 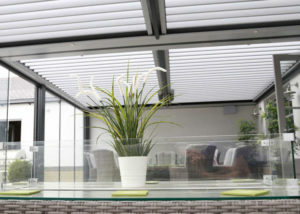 The Reference is a stylish aluminium structure that covers areas up to 7m x 7m and features adjustable aluminium roof slats. 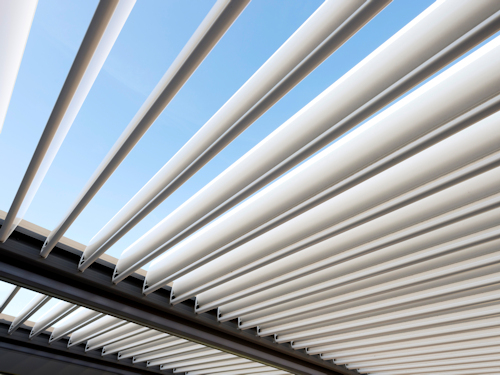 Your customers can provide shade and shelter that can be altered to suit the current weather conditions with the touch of a button. 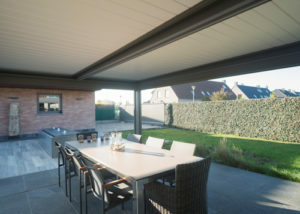 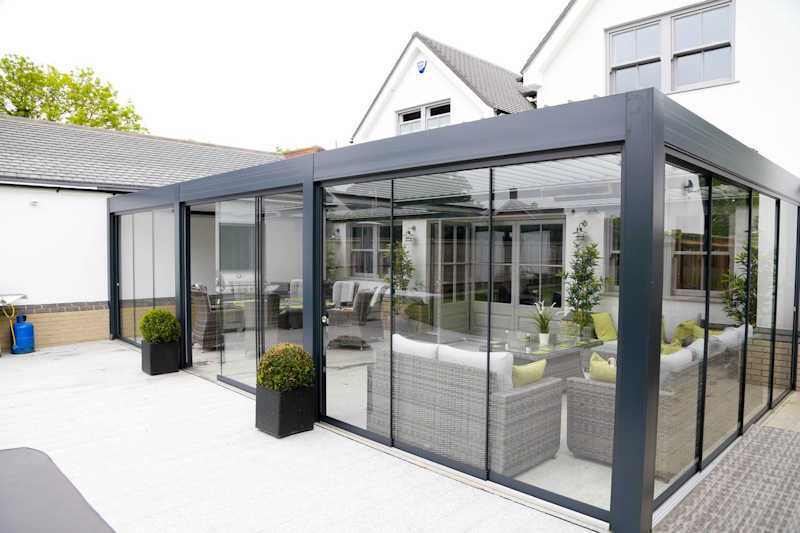 The Elegance provides cover over areas up to 7m x 7m and has the same benefits as the Reference with the addition of hidden fixings and hidden cables. 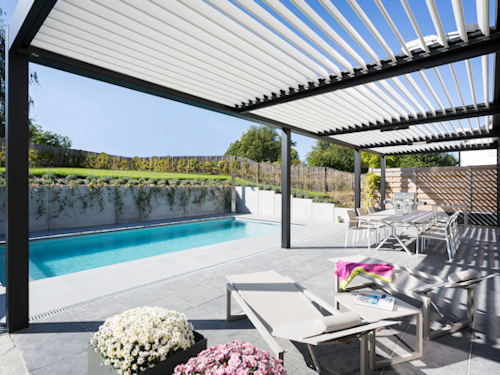 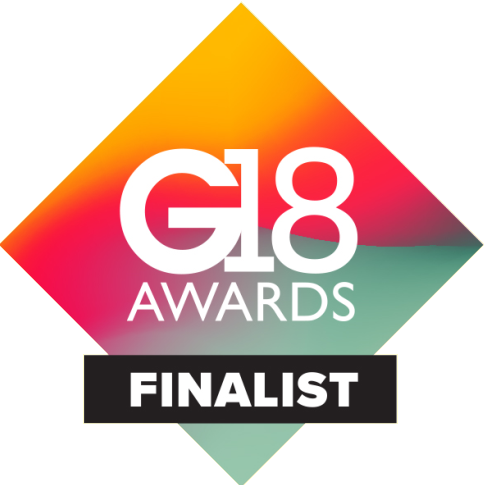 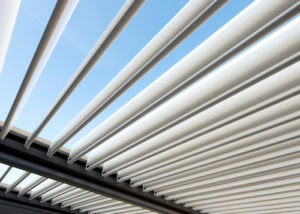 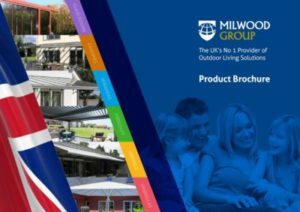 It features the innovative bioclimatic pergola roof system, enabling your customers to offer shade and shelter to match the changeable weather conditions.